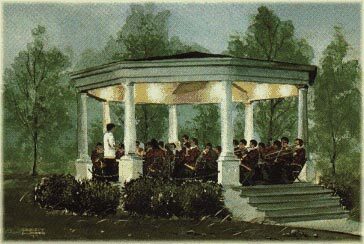 Established in 1867 and consecutive since 1870, the Iola Municipal Band continues to entertain with its series of Thursday evening summer concerts at the historic bandstand in the courthouse square. In 1923 Mr. and Mrs. Russell Stover began a candy business at their home in Denver Colorado, although the candy was originally marketed as 'Mrs. Stover's Candies'. The factory offers a full line of "Only the Finest" Russell Stover Candies including our "First Quality"